Emmeline and Lucas are safe from Lady Aisling and her soldiers for the time being. The only thing that mars their peaceful life is Emmeline’s former shadow, Dar. Still shut in her cage, she constantly tries to manipulate Emmeline to set her free. Then one night the Cerelia Comet-the reason for their magical abilities-returns… Twelve years too early. The return of the comet can only mean one thing, Lady Aisling has a sky shaker under her control and is hoping for a new batch of talented children to add to her collection. Emmeline and Lucas journey to find other talented children who can help in the fight against Lady Aisling. But when Dar escapes, and the two friends realize many of the children they seek have already been taken, it’s clear the sky shaker might be the least of their worries. The thrilling conclusion to MarcyKate Connolly’s Shadow Weaver duology that follows Emmeline and Lucas as they face the darkness that has shadowed their lives. "Connolly again spins a magical tale; she deftly crafts moods and creates a sense of urgency that will leave readers breathless." "A captivating volley of revelations and resolutions." 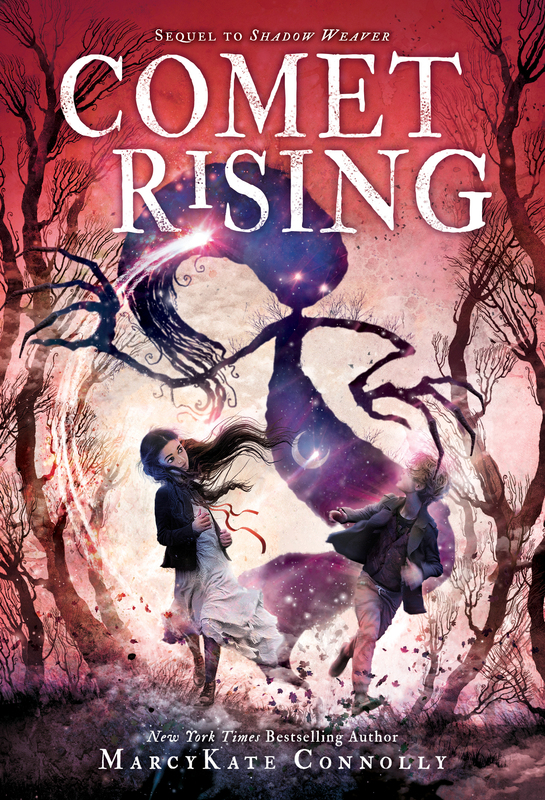 A Discussion Guide & Event Kit for Comet Rising is available! Also, I love chatting with students and offer free 20-30 minute Skype visits. Learn more about School & Library Visits or request a Skype visit via my contact form.